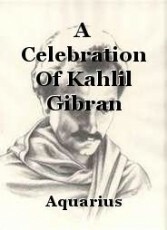 A collection of fresh interpretations of some of Kahlil Gibran's poems from 'The Prophet', the way I feel intuitively he would write them now. Is Joy More Valuable Than Sorrow? This page was created in 0.3338 seconds.